I have been using some board i found in B&Q with some really good results. Could check how much it weighs per square meter/inch whatever? I just checked. Per sheet this stuff weighs 77g per sheet or square meter. i have been covering it with laminate sheet and it gets some serious strength once laminated. It seems to cut better than depron. View attachment 83505 Was in WM last week thumbing through the FB rack and came across this. Has anyone else seen it and used it. It comes 55.8cmx71.1cmx4.6mm with half inch grids pressed on one side. It's like a dense, brittle foam sandwiched between two sheets of construction. I got a sheet ($2.77vs$0.98 for DTFB) and have cut out all the pieces to a Baby Brit. It's a devil to cut and work with plus it eats blade edges fast. I wonder how a laser or needle would handle it.So far its going to take a good bit of sanding the get the edges smooth and even and to balance it. Otherwise it seems significantly stronger than FT or DTFB but heavier too. Looks like it will hold paint well too. I'm going to finish it and seal the edges then see if I can finally get a successful maiden flight with something I scratch built. 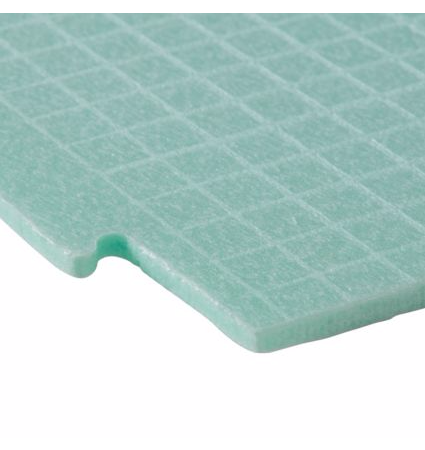 How did the Ghostline foam board from Carolinapad work out? Here in Hawaii, we cannot get DTFB and WallyWorld has, for some inexplicable reason, stopped selling Ross foam board. I saw Ghostline recently but wondered if it was worth it. Please share your observations. I just stretch a hot wire a fixed height above the table (1/4 to 1/2 inch depending) and push the blue or pink foam thru it. 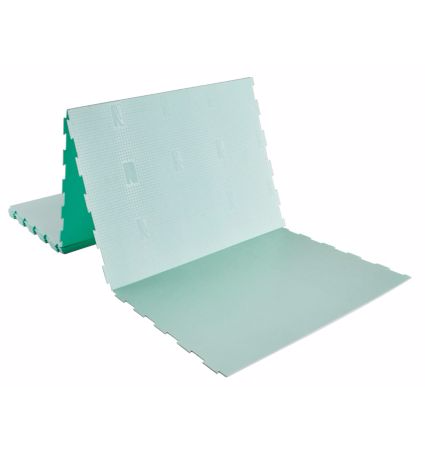 I found a supplier in the UK, http://www.foam-board.co.uk , that sell a wide variety of foamboard. It appears they do different sizes of the standard white foamboard, 3mm, 5mm and 10mm though they offer other types of foamboard. The paper seems thicker than what I imagine it's like in the States and the paper doesn't look like it peels as well as DTFB. 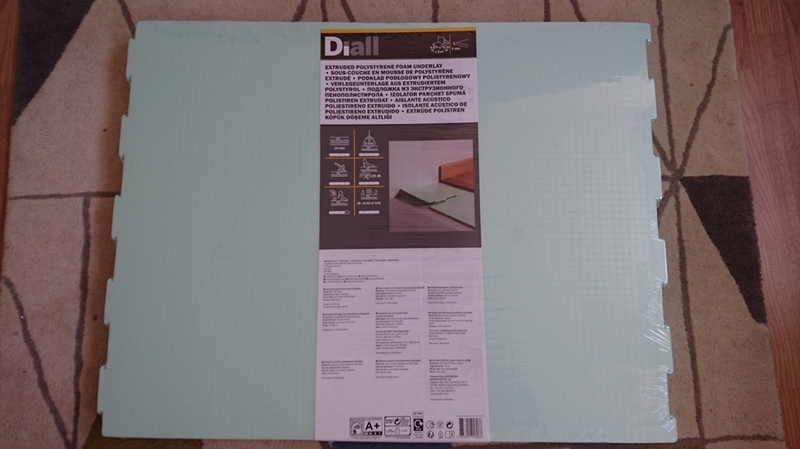 I bought a pack of A1 (594mm x 841mm, or in old money ≈23.4 x 33.1 in) 5mm x10 White Foamboard for roughly £30.00 once the postage was added to the price. So lets say each sheet was £3.00. According to their website the weight was 3.2Kg, though I am unsure if this includes the weight of the cardboard box the sheets arrive in. For now I'll presume that each sheet weighs 320g / ≈11.3oz. Hi ! In Auckland, New Zealand, Arts supply shops often have DTFB-equivalent for sale, The brand we get here is BAZIC foamboard, in format 20" x 30", from California. Its the same lightness and strength as DTFB, and as easy to work of course. MAsswise it might be a little bit heavier, but when you are building a sloper as I do, density is a good thing. *Its orderable also from Gordon Harris Ltd. The Gordon Harris shop in Newmarket, Auckland is a great place to go shopping,as they sell not only DTFB-equivalent, the also sell X-acto knives & blades, razors, UHU and other good glues, glue sticks - and Balsa of practically all grades for very reasonable prices. Regards from Auckland, New Zealand. I'm from GB, so all my foamboard comes from Hobbycraft. Unfortunately they don't have a dollar type deal, so I can only get four sheets for £8. Still works out cheaper than depron though. They sell Flitetest water proof foam board for £3 a sheet which is my mind is cheap. They also do the speed build kits and they deliver. If your flying in Lincolnshire or Nottinghamshire then message me as flying on my own is getting dull. Im in france so I usually raid all the shops in town and get tons of cardboard, it isn't always the best quality but it works. I recently tried building with Ghostline foam board from Carolinapad because the local WallyWorld was out of Ross foam board. In short: Save your money. It is heavy, absolutely eats razor blades and appeared to be more brittle. After cutting out only a few parts, I tossed out the cut parts and remaining foam board. Back to Office Depot foam board unless and until the local WallyWorld starts restocking Ross. Tape & Glue Stick wise I mention Joanna's in the PNW. My daughter had a 50% 1 item coupon and a 40%'er. I don't know about getting the coupons but I got a 12 pack of Ad Tech Hi-Temp glue sticks and a roll of Scotch Heavy Duty (red dispenser) for $9.30. I'm here in Korea desperately looking for some foamboard to get building! I'm nervous to buy stuff online if it doesn't work but I picked up some foamboard from a craft shop with no paper on the outside. IT was really crumbly when cutting and had a few issues with folds. The only info on the label was "5mm Polystyrene Foam Boardlong" by Hyunjin Art. That's not the right stuff, right? I'm going to keep scouting and I've heard the Daiso foam board is pretty good but when I checked my local Daiso they didn't have any foam board. There's another big one near my work that I'll try. I guess there's no one here from Korea with any experience? It'd be cool if I could get something off of Gmarket or Naver Shopping(local online shops.) as long as I knew it was consistent. Update!! I used some Daewon Woodboard (&#45824;&#50896;&#52860;&#46972;&#48372;&#46300 and it seemed to work really well. When I bought it I was scared it was going to be too fragile, but when I reinforced it with packing tape it worked perfectly. WalMarts are carrying a foamboard now made by ROSS. It is cheaper than the DTFB just as strong. The down side is if you want to remove the paper it is very difficult to remove. Not impossible just a pain in the back side. Hopefully my local walmart starts carrying the ross stuff. The hard to remove paper is a quality I am looking for. Little better longevity. I do realize lots of folks like flat foam board, so if you have a Walmart handy, keep in mind you can by online and have it shipped to the store for free (normally) and pick it up after arrival. Lots of store do this also, including the Dollar Tree store. I got my last load of Ross foam board that way at the local Walmart, and a box of Adams Readi-board at the Dollar tree store. I also go to the local Home improvement warehouse stores for various thickness of insulation board since there are more than a few ways to build aircraft from thick, or thin foam sheets. One method is called horizontally laminated construction, and the other is often called vertically laminated construction, among other names. Various RC websites speak of the methods used to make any aircraft fuselage, or wing real, or imagined by making a center outline and adding smaller and shorter layers to it until the desired thickness is accomplished. The aircraft outline is often cut out in the center since that is where the RC hear will be installed and the next outer layer is also cut out to give a deeper, or larger space when needed. Other layers are often not more than filler for the desired fuselage, or wing thickness. Then the foam shaping begins as if whittling, sanding, cutting, or otherwise shaping the foam. Reminds me of old style wood carving except foam is used. Once the lamination work has started, it is often practiced to leave off the final layers on the outside of the fuselage until the RC gear is installed, tested, and the hatch plan decided upon. Most access hatch plans are on top, include the canopy, and are plenty long enough to make battery replacement easy and adjustments to RC gear possible without tiny fingers. Any finishing work like putty/spackling, paper, and painting are an individual preference and there are many options. As to foam sources, have you considered roadsides, trash cans, packing foam, foam dinner plates, and foam drink cups? I help pick up foams of various types while I travel back and forth from town since the city dump is a bit more than halfway into town. I sometimes see city dumpsters with large foam shapes from shipping boxes, and I recycle foam drink cups. When I need stiff, thin foam sheets, I buy a package of foam dinner plates for $3-5 dollars and get hundreds I can cut into 5"x 5" squares without a lot of effort. The foam panels work well on fuselage, or wing frames done in various ways, but will remind old timers of balsa wood airplane build-up kits, even if I'm not using any wood products. Sometimes I do, but it may not be balsa since it is a tad pricey. Just some ideas for those living in areas with few, if any local stores with good foam sources. There is occasionally some flite test FB on eBay for the UK/Europe bunch. otherwise, I get the heavier stuff from hobby craft. I do prefer the FT stuff, but beggars can't be choosers! I have plenty of foam boards, or poster boards with a foam core to pick from in USA, but it does often come down to price and if I want to leave, or keep the paper on. Normally I want the paper off and I look for floor underlayment foam board instead. The catch is the old Blu-core and pink by Corning is nearly impossible to find anymore where I live. I have a lifetime supply of the Blu-core if I don't get too busy, but when I do Youtube videos (Watt Waster) of foam board builds I think it is best to use what others can find. So I tend to feature Adam's Readi Board (Dollar Tree store), Kraft, Ross, and Elmer's poster boards. The art supply, office supply, and other stores have more choices in poster board. What I cannot find is Depron and a few of those mentioned here.